Innovation and technological change is predictably getting faster – but has not been anticipated by much of the traditional commodity sectors, including energy. Almost all models for future energy demand have been linear, whereas non-linear, exponential growth has always been the most probable outcome. Compounding factors for this new, aggressive rate of change in the energy sector include accelerating technological developments, social demands and newly evolving business models, all of which significantly change how energy is generated, traded, transported and used. The rate of this change in the renewables and clean-tech space has, almost universally, been consistently understated. 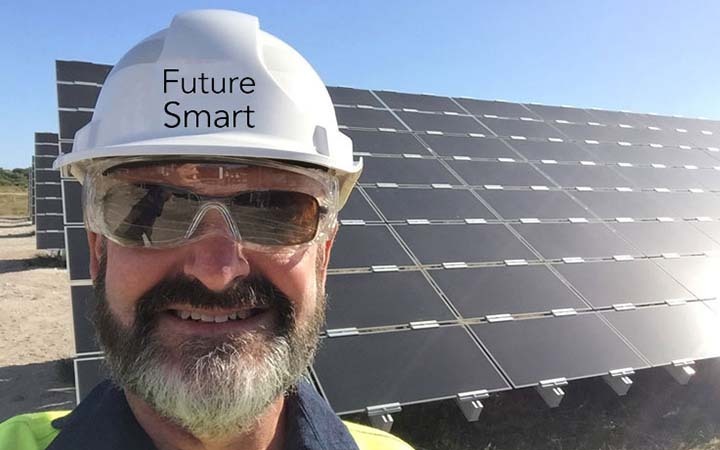 The Future Smart Pathway model delivers strong projections about how quickly batteries will be taken up and, as a consequence, the demand that will be placed on the mining industry to deliver the resources required to manufacture them. The reason why this is obviously great news for Australia – and especially for Queensland and Western Australia – is because we’re great miners. We’re global experts at making big rocks into small rocks and loading them on to ships – especially iron ore.
As the iron ore we dig up is usually above 65% iron, shipping “waste rock” with the iron isn’t too much of a waste. Compare that to something like bauxite, which we tend to refine or smelt on-shore so that we ship alumina or aluminium, not bauxite. To do otherwise would be wasteful because we would be exporting mostly just rocks. This is even more important with mines producing ore with a low-concentration, high value resource like lithium. Despite some local concentrating, 97% of the lithium product we actually export is not lithium – but “waste products” that are removed by overseas processing. This loses value from the Australian economy. A challenge for the upstream end of the industry is to develop downstream capability locally. Because of the new energy value chain underpinned by lithium, improved downstream capability is also expected to drive down the domestic cost of energy. To take best advantage of our resources, Australia needs to step up our pre-processing and electro-chemical manufacturing – in a way we traditionally have not done, as was described in the “Lithium Valley” report released in July this year. Batteries are going to be so fundamental for the global economy in the 21st Century that Australia can’t help but profit from our resources. But batteries are such a big opportunity, it would be nothing but careless not to look to value-add along the value chain. With the resources we have, it is critical Australia acts to ensure that businesses operating in the value chain in Australia spend more time collaborating rather than competing. And that’s because with rapidly accelerating demand, no current miner in the sector is big enough to capitalise the value chain opportunity alone. While our largest resource companies are perhaps big enough to consider a deeper plumbing of the value chain, these companies can be very focused on core activity of mining, and so less likely to go further downstream than necessary to produce a saleable resource as a miner – which would lead to a lost opportunity for Australia. However, the smaller players are actually trying to do a lot of different things beyond our usual expectation of miners. The great example is with Lithium Australia, who own the VSPC (Very Small Particle Company) factory in Brisbane, which is a battery cathode power plant. They’re actually looking to do new approaches downstream, that ironically a bigger miner might not have chosen to do. And I think that’s typical of the disruptive approach of 21st Century businesses, looking at a more diverse, more integrated solution to markets. And so with what Lithium Australia is doing in Brisbane, through their 100% ownership of VSPC factory, they are looking to swim downstream and add value. Historically, value adding is something Australia has done fairly poorly. But different states have done it well at different times. And I think there’s no doubt, right at this time, Queensland seems to exploring opportunities pretty well. The challenge is always to understand the market potential. And this is perhaps in some ways self-evident as we see projections from the usual large consultancies that give some pretty good numbers on what they think growth looks like. 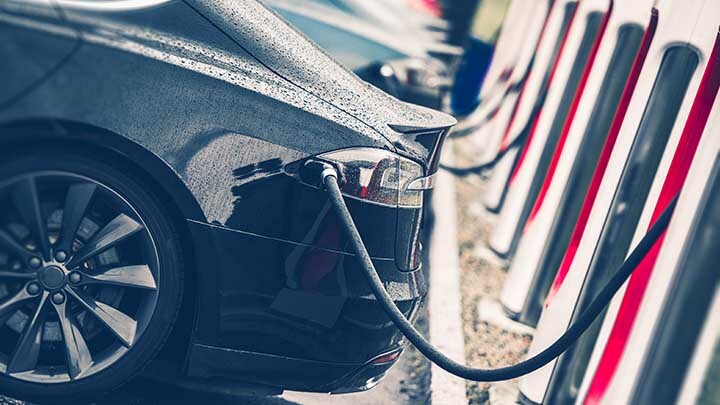 But as the market for battery resources emerges, it is clear most projections are significantly underestimating what this real growth opportunity looks like. Professor Ray Wills says there is a huge opportunity to add value in the battery minerals market. As I said in the opening sentence – innovation and technological change is getting faster. Hardly anyone uses a flip phone today – we’re mostly on smartphones already. And the copper network is now less about the purpose of its creation – phone calls – and mostly about serendipitous use of copper for internet service delivery. Technologies, when they change, generally change out. And the same applies to energy generation technologies. Coal is still a key energy source for electricity in the world today, with 38.4% of the world’s 24,973 TWh annual generation of electricity from coal. But the evidence is clear: global coal consumption has peaked, and we should expect to scale back coal consumption quickly, within the next few decades, because the growth of the replacement is extraordinarily rapid. And it’s going to get even faster because the arrival of batteries will make it easier to do so. Resource pricing is obviously really critical to the whole of Australia’s resources sector, because we do see price spikes (and valleys) from time to time – fortunately they don’t usually last long, and our materials remain affordable. But if something is unaffordable through huge pricing, there’s a consequence of lack of availability, and then it’s likely the technologists will respond by finding a different material to do the job. So while Australia is well endowed with all the requisite resources to make a battery, one of the challenges for the industry will be to ensure that our battery materials don’t get prohibitively expensive, otherwise technologists may deploy a different chemistry that eliminates that material too and simply swap them out. How do we prepare businesses and industry? We need to help businesses understand the true possibilities of this market, the potential depth of this market. And also reflect on the data that’s emerged over the past 12 months to show that this change really is happening – and it’s happening quickly. So while Australia is well-endowed with all the requisite resources to make a battery, one of the challenges for the industry will be to ensure that our battery materials don’t get prohibitively expensive. Through 2018, we’ve seen big global announcements of new battery plant capacity – so far more than 370 GWh of new battery factory output to be ready by 2022, more than tripling in four years. We’ve also seen massive investments by car companies globally into batteries for electric cars, with more than $US250 billion of investments to 2023. And all of that is brilliant news those delivering us the resources, and even better news for those that are ready to invest and value add downstream. All of the above is a clear message to those currently involved in the old sources – they should get ready to adapt. But it’s also a critical message about an extraordinary opportunity for those that can deliver the resources.